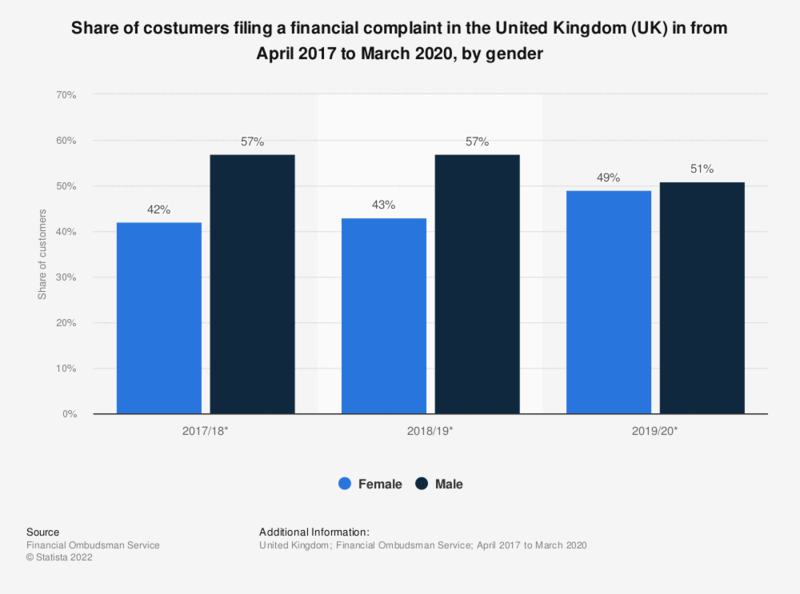 This statistic illustrates the gender distribution of customers filing a financial complaint with the Financial Ombudsman Service in the United Kingdom (UK) between the financial years of 2016/2017 to 2017/2018. It can be seen that in the financial year of 2017/2018, 57 percent of all complaints came from male customers. * <1% didn’t record – other (including transgender, gender fluid, and non-conforming). United Kingdom: Which, if any, of the following financial products have you personally purchased in the last 12 months?